RogueKiller is an essential security application that takes care of the malicious software that try to infect your system. 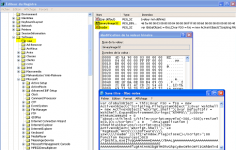 Being written in C++, this smart antivirus application scans your computer and, in case of finding any virus, malware, rootkit, worm or any suspicious program, it offers the possibility to quickly remove it and clean the registry. Due to its different techniques such as heuristics and signature finding, it easily detects any application that may harm your system and kills it before any damage is done, being able to find and remove registry hijacks, including Shell/Load entries Extension association hijacks DLL hijacks. 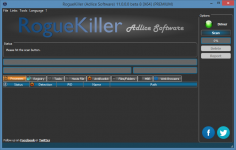 Curently we don't have any log information about RogueKiller version 13.1.9.0. We will this change log update soon!